If you want to improve your prayer life, try writing. If you want to improve your writing life, try praying. The two require many of the same practices, disciplines, and virtues. If you’re already inclined to both write and pray, you may as well figure out how they can help each other. If you’re experienced in one, you may find opportunities for personal or spiritual growth by trying out the other. 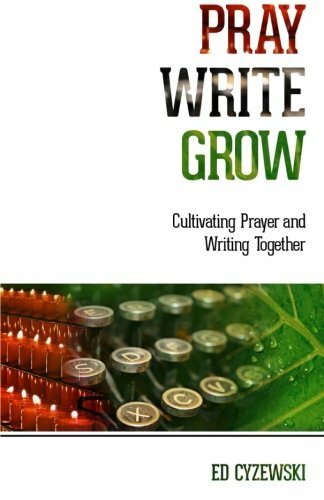 This book offers life-giving practices that will help you grow in both prayer and writing and show how the two can work together to improve your craft as a writer and your spiritual practices as a person of faith. Ed Cyzewski is the author of Coffeehouse Theology, A Christian Survival Guide, and other books. He writes about the intersection of prayer and writing at edcyzewski.com. He lives in Columbus, OH with his wife and two sons where they obsess over New York style pizza and organic gardening. Get two free eBook shorts and future book discounts by joining his newsletter: eepurl.com/dD6q. I'm not sure what I expected from this book, but after reading its description, I was intrigued as both a writer and a Christian. I was delighted by the clear, informal writing used by the author, making each chapter easy to read and understand. There were a few resources mentioned that I was unfamiliar with and had to look up, but otherwise, the book is well-laid out and informative. As a writer, I was encouraged by the reminder that everything in my life--good and bad--can be writing material. Writing about my struggles, fears, growth, and the like has the potential to help others who are going through the same things. The book also reminded me not to overlook the importance of informal/non-work-related writing, such as journaling. Sometimes writing things out helps us get to the place where we find a solution. These were powerful and much-needed reminders. As a Christian, I was particularly encouraged by the fact that a wandering mind doesn't have to be a bad thing. I tend to get so frustrated with myself when my mind wanders, especially during my prayer time. But as the author points out, if the mind is wandering to it, it's obviously something that needs to be prayed about. Instead of berating myself, I can use that mind roaming as a prompt to pray about the situation to which my mind wandered. This realization was such a blessing, and I know it will significantly impact my prayer time for years to come. Even if you're not a writer, I believe every Christian should read this book. Though I may not agree with everything within its pages, it has provided several elements to help me grow both in my spiritual walk and in my writing craft. Overall, the book is a short read but well worth the time. If I had to sum up my thoughts about this book in a single word, that word would be "Wow!" 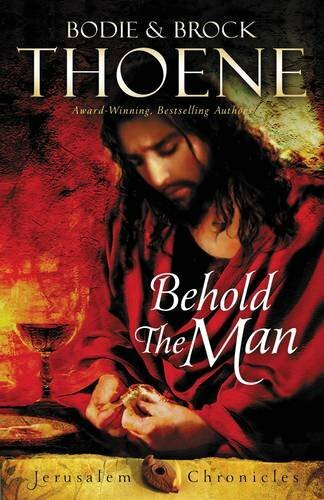 Behold the Man is the third book in The Jerusalem Chronicles series and details the backstory of Pilate's wife, Claudia, and Marcus, the centurion who came to know Christ. With a mixture of historical facts and fabulous fiction, the authors weave a story of action, intrigue, and passion. The miracles of Jesus and his last days before the crucifixion come to life through the eyes of several characters whose stories intertwine with His. This isn't a book you read. It is one you absorb. It evokes so much emotion that I felt like I was living it. I discovered new levels of dislike and anger toward Herod, Pilate, and Caiaphas, as well as a renewed love and appreciation for Jesus Christ, the Lord of all. My heart ached during the mock trial, beatings, and crucifixion of Christ, and as I read of His final moments, I couldn't stop the tears from flowing. Fortunately, that sadness was turned to rejoicing in the epilogue when the writers told of the resurrection of my Lord. Talk about a happy ending! If you enjoy Biblical fact and imaginative fiction, you'll love this book. In fact, if you're anything like me, once you start, you won't want to put it down. I'm eager to read the other two books in this series and probably many more books by these authors. It is not often that I give a book a five-star rating, but if I could, I would give this book even more than that. It was truly that good! 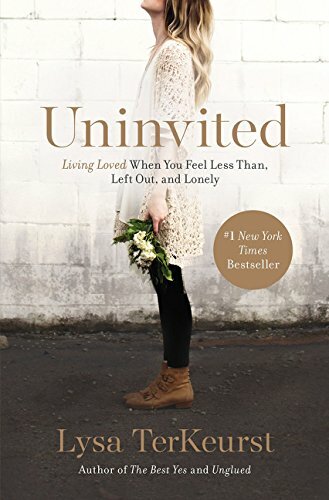 In Uninvited, Lysa shares her own deeply personal experiences with rejection—from the incredibly painful childhood abandonment by her father to the perceived judgment of the perfectly-toned woman one elliptical over. End the cycle of perceived rejection by refusing to turn a small incident into a full-blown issue. I have read and enjoyed many of Lysa's books, and I'm happy to proclaim that this is among my favorites. With her sheer honesty and trademark wit, she offers the readers an insight into a life of rejection and how that one who felt left out finally discovered the place she'd always longed to be--a place of love and acceptance. Lysa shares parts of her painful past as well as comical experiences she has faced throughout the years that have helped her arrive where she is today. I must say that my favorite account was the one with the cussing angel (you'll have to read the book to understand and truly appreciate the humor). I've had my eye on this book for some time but was waiting for the "right time" to spend money on it. Recently, I felt the Lord impressing me that now was the time. As I began reading, I understood His promptings, for the first few chapters of the book discussed the very thing I was studying and covering in my own new book: the power of our thoughts and words. Lysa reminds us that, whether we realize it or not, what we think and say has a dramatic impact on our actions and attitudes. With that in mind, she urges us to guard our thoughts and tongues against the negativity that often so easily besets us. God worked it out that I was in the perfect place in my life to thoroughly appreciate this insight. As with all of Lysa's books, I had trouble pacing myself because once I started reading, I didn't want to stop. Her words encouraged my heart and motivated my spirit as I'm sure they will do for you. This is a must-read for anyone who has ever struggled with feelings of rejection (which I'm certain that we all have). You won't be sorry!